Delivering “Better Value Faster, Safer, Happier” was the biggest focus of 2018’s recently concluded DevOps Enterprise Summit. 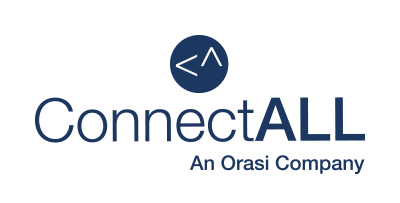 ConnectALL, an Orasi company, reiterated this message with its offering of “achieving higher agility and delivering value at speed,” through its end-to-end value stream management solutions. In an interview with Jason Bloomberg, a leading IT industry analyst and Forbes contributor, ConnectALL leadership — Lance Knight, SVP and GM, ConnectALL, and Jim Azar, CTO, Orasi — highlighted the concept of value stream management and the pressing need to move beyond Agile and DevOps and embrace a more end-to-end approach in relation to how we build software. How is Value Stream Management the key to delivering value at speed? Process improvement is always essential but creating and proving business value should be a higher priority in DevOps workflows, according to Lance. That’s where value stream management plays well. Organizations must look at the software delivery process from the perspective of end-to-end flow and product value stream. “Everything that you do needs to tie back to value in software development,” urged Lance. A value stream, at its essence, refers to the series of steps that provides a continuous flow of value to the customer, covering the entire development to production process. A key part of value stream management is creating flowcharts and maps. “It starts with a value stream map. You need to map your present state and how long it takes for a defect to go through the pipeline,” explained Lance. Value stream mapping provides greater details about the present state of the DevOps workflow alongside the value-added and non-value processes therein, and also allows organizations to plan and design a future state with reduced lean wastes and shortened delivery time frames. In highlighting the differences between value stream management and the traditional SDLC approach, Jim stressed that while the traditional software development life cycle (SDLC) model has been a success in terms of optimizing the “build and deploy” stages of software delivery, it does not address what happens after that stage. Value stream management, on the other hand, “goes all the way through to operations and focuses on getting the product/feature out to users, so the business can benefit from it.” However, the promise of end-to-end integration and management of value streams has proven to be difficult for IT in practice. In their work with enterprises’ IT teams across industries, both Lance and Jim have seen many of them adopt an ad hoc approach towards DevOps and software delivery. The reason for this is for large organizations, their entire software development life cycle typically consists of myriad tools – ranging from project planning, requirements management, test automation, and deployment management to continuous integration/continuous delivery, application and infrastructure performance monitoring, and more. The DevOps workflow is hugely complex and therefore, value stream analysis becomes a difficult exercise. How does ConnectALL create an end-to-end, measurable value stream? While practices like continuous integration and automated testing can dramatically improve certain aspects of the DevOps workflow, without visibility into all the processes right from business ideation and development to deployment of new functionality, DevOps workflows can get clogged. Using an integration platform like ConnectALL can uncover the bottlenecks and and keep the flow of value on track. When it comes to today’s frenzied digital world, you have no option but to continuously deliver new value to customers, at the increasing velocity that they demand. A focus on the value stream allows organizations to quickly adapt to new business ideas, accelerate the delivery of customer value and respond to changing market dynamics with speed and confidence. The endgame: get to market with high-quality products that customers want, faster than ever before. Traditional businesses need their CIOs to steer them through this transformation. And a visionary CIO, who demonstrates the business value of a high performing DevOps organization, will clearly emerge as the winner in this transition period. To get a perspective of what the present-day DevOps challenges are and how vendors are meeting customer expectations with the focus largely on delivery of customer value, read Jason Bloomberg’s article in the Forbes: Secret To DevOps Success? Be Like Lennon And McCartney. If you have any questions or would want to start a conversation with us, write to marcom@connectall.com.